It is so hot outside right now! On days like today, one of the only things that helps beat the heat is a cool refreshing drink. Wouldn’t it be even better if that drink was not only refreshing but it was also healthy? Well guess what, I have the drink for you. I developed this recipe for a segment I did on Utah’s KSL Studio 5. What I love so much about this drink is that it is made with only a few ingredients. The ingredients are watermelon, the juice from a few lemons, and a little bit of sugar. The amount of sugar you add is entirely up to you. If your watermelon is a really ripe and sweet, you won’t have to add as much sugar. You can leave the sugar out completely for a sugar free drink. Have you ever bought a watermelon at the store and then brought it home and cut it up only to discover that instead of read and juicy, it is pink, grainy and tastes like nothing? 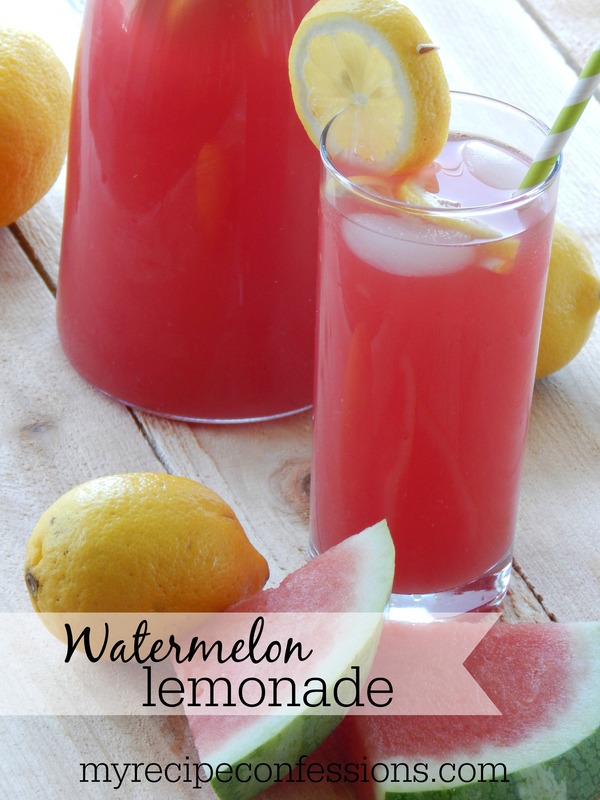 Instead of throwing it away and wasting your money, make this Watermelon Lemonade. It is the perfect solution for those not so ripe and tasteless watermelons. A 12 to 14 lb. watermelon will make about 1 gallon of lemonade. So next time you have a backyard barbecue, make this watermelon lemonade and instantly become the hostess of the year! 1. Mix all the ingredients and stir until the sugar is completely dissolved. 1. Blend 2 cups of watermelon with 1/2 cup of water. Strain the liquid through a strainer. Continue this process with the remaining watermelon. Stir in the lemon and lime juice and sugar until sugar is dissolved.